To say the least, it’s an interesting time to be Sony: while all the furore about The Interview (above) and the embarrassing series of hacks at its US movie division has been raging, its beleaguered TV division looks like it’s having a happier time, especially in the States, and could just be sensing the light at the end of its loss-making tunnel. However, it’s facing a challenge on another front – and this time it comes from somewhere closer to home. TV success – at last? Having long engaged in a price-war with rivals able to make and sell TVs with bargain tickets, such as Korean giants LG and Samsung, Sony now seems to have re-discovered the art of what it has always done best: making top-quality sets able to command premium prices. 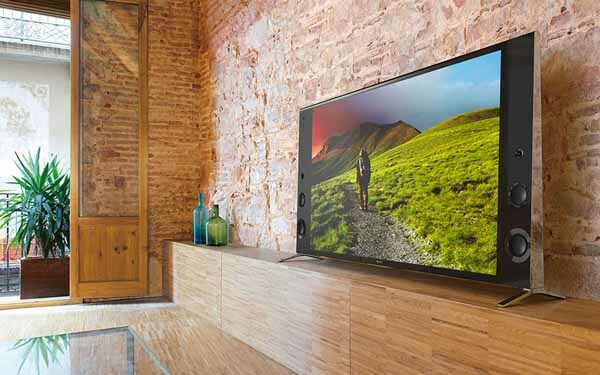 Of course, we’ve been here before: the higher picture quality of plasma, 3D, smart features and even 4K have all been clung to by TV manufacturers as ways of encouraging consumers to spend a bit more on their next screen. Unfortunately, all these innovations have suffered rapid commoditisation, as competition between manufacturers and retailer has driven prices down remarkably quickly after launch, and these ‘premium features’ have rapidly become part of consumers’ expectations even on budget – or heavily discounted – products. That’s the case in Europe, and definitely so in the USA, but it’s in the States that the tide may just be turning for Sony. 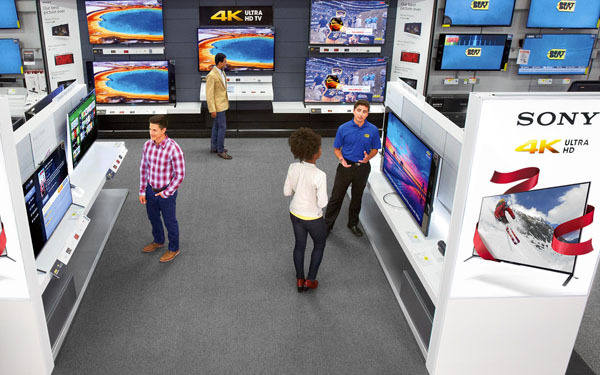 It’s using a growing number of store-in-store facilities in Best Buy outlets to promote its claims of superior sound and vision from its 4K sets when compared to conventional HD models: it started introducing the concept in May 2014, and already has over 350 of these Sony areas, meaning they’re in over a third of Best Buy’s stores. With this strategy, Sony has built its market share of upmarket LCD screens to a point where it claims it has 20% of the US market for $1500+ TVs, more than double the figure this time last year, and has increased total sales by around 20%. That’s got to be good news for the company’s TV division, which has been in trouble for the better part of the last decade: ten years of operating losses have put it a total of ¥790bn (around £4.5bn) in the red. In the first two quarters it has finally shown a profit, thanks to stringent cost-cutting – but also its decision to stop slashing prices and rebuild its brand status. Typical of this new emphasis on quality and premium appeal is the Bravia X9200B series, which is notable for its use of large internal speakers in an attempt to match its 4K picture quality with a high standard of audio performance. A 55in model sells for around £2000 here in Japan, and while volumes are down, the higher price is helping the balance sheet. Meanwhile, in an interesting turn of events springing from one of Sony’s recent rounds of cost-cutting, it looks like its Xperia range of smartphones, popular in Japan and in other markets, will be facing some competition back home – from Vaio. Yes, Sony’s laptop computer unit, which it sold off in July to an investment fund, retaining just 5% of the shares, is working with Japanese mobile phone company Japan Communications to launch a 5in-screen Android smartphone, with production outsourced to third-party electronics manufacturing companies. An official announcement of its intention to work with Japan Communications was made by Vaio on December 25th. The move comes as Japan’s mobile telecoms market is set to become a lot more open: in May 2015 all phones sold there will have to be unlocked, rather than tied to a single carrier, enabling consumers to switch and choose between providers. That’ll benefit mobile virtual network operators such as Japan Communications, which sells phone services using other carriers’ networks (in the same way as UK operators such as Virgin Mobile and Tesco Mobile). Of course, the Japanese market isn’t exactly short of alternatives to handsets such as the ubiquitous iPhones, Galaxies and Sony’s Xperias, but Vaio thinks it’s in with a shout, thanks to the combination of quality design and lower prices for both handsets and service contracts.